Bridal Guide - Get Ready, the 2017 Edition of The Bridal Guide is Coming! Get Ready, the 2017 Edition of The Bridal Guide is Coming! We’ve made some BIG changes to this issue and we’re super excited to get it into your hands! Coming in January 2017, our new full-size magazine will have more bridal fashion and spa mavens, out-of-this-world reception venues, floral geniuses, and innovative photographers than we have room for. Not to mention the cakes, entertainment, and miles-long list of incredible vendors waiting to partner with you to provide the wedding of your childhood dreams. We wanted to refresh the magazine so we could do an even better job of showing them off, and also offer you, dear bride-to-be, more of what you love—great advice, informative tips, and real wedding inspiration all in our same unique layout with our easy-access and clearly defined categories. 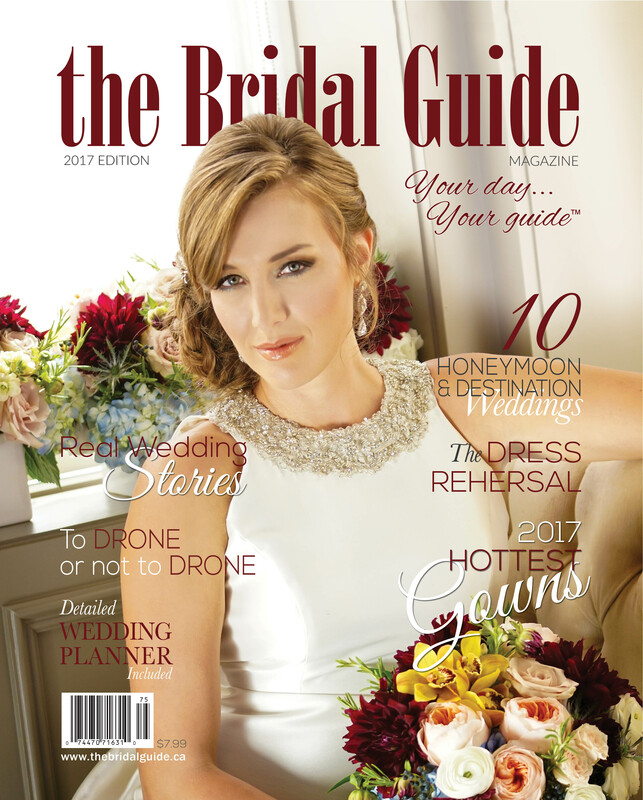 In this issue you’ll find tips on finding the perfect wedding gown, the pros and cons of hiring a photography drone, an updated guide to your wedding footprint along with more great content that will keep you flipping through the pages and sharing with your bridal team. As always, our exclusive Bridal Planner is included to keep you reveling in the details of your wedding day. Stay tuned on where to pick up your copy!